PHILADELPHIA, July 11, 2017—The results of the latest State of the Bible survey by American Bible Society showed African-Americans are more engaged with the Bible than any other group, overwhelmingly citing positive beliefs and hope found in the Scriptures. 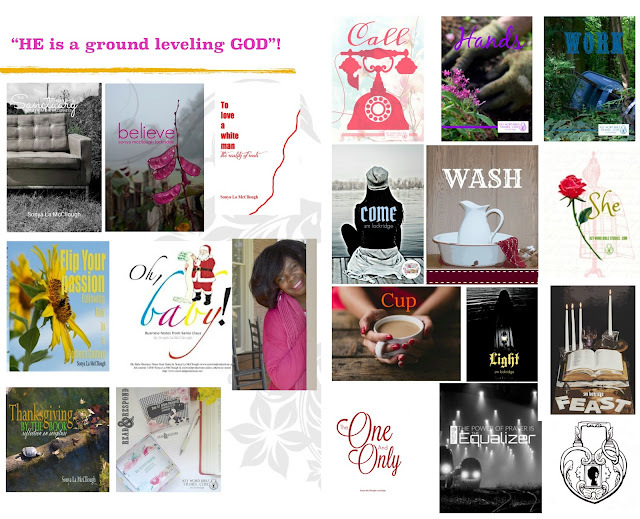 Among African-Americans, 71 percent are considered Bible engagedi or Bible friendlyii (compared to just 58 percent of all Americans). A small segment of African-Americans, just six percent, have hostileiii feelings toward the Bible; only four percent are skepticaliv; and 19 percent are neutralv. When asked if the Bible contains everything a person needs to know to live a meaningful life, 77 percent agreed that it does. And while all Americans believe morality is on the decline (81 percent), 35 percent of African-Americans blame the decline on lack of Bible reading. When African-Americans sit down to read the Bible, 29 percent read it for an hour or more—the leading timeframe for this category. Many cited feeling encouraged (51 percent) and hopeful (53 percent) as a result of reading the Bible. 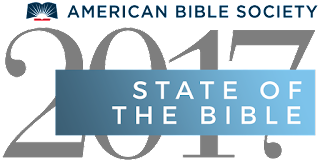 State of the Bible is an annual report commissioned by American Bible Society and conducted by Barna Group on behaviors and beliefs about the Bible among U.S. adults. 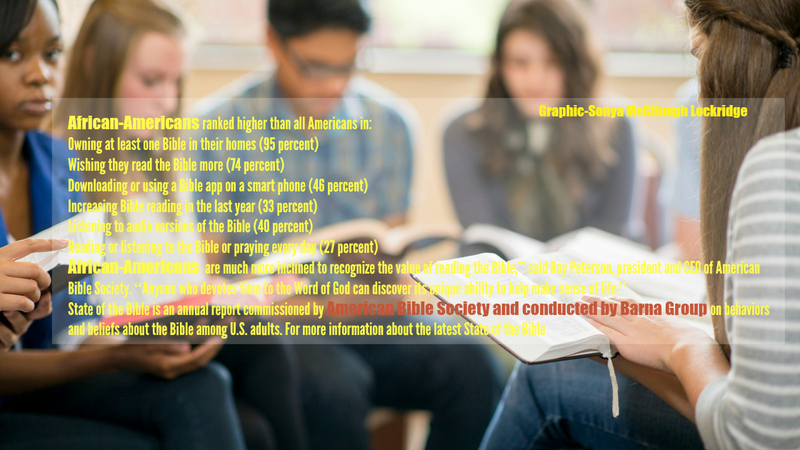 For more information about the latest State of the Bible research, visit StateoftheBible.org. The State of the Bible 2017 report contains the findings from a nationwide study commissioned by American Bible Society and conducted by Barna Research (a division of Barna Group). Two research methodologies were used for the study: the first included 1,025 telephone interviews (including cellphone interviews) with adults in all 50 states in the U.S., and the second consisted of 1,028 online surveys using a nationally representative panel. The use of two methodologies provided a larger sample size for key questions and ensured even greater representation among all age groups. The telephone interviews were conducted Jan. 20 – 30, 2017, and included U.S. adults 18 years of age or older. The online surveys were conducted Jan. 23 – Feb. 2, 2017. Since 1816, American Bible Society has worked to make the Bible available to every person in a language and format each can understand and afford, so all people may experience its life-changing message. 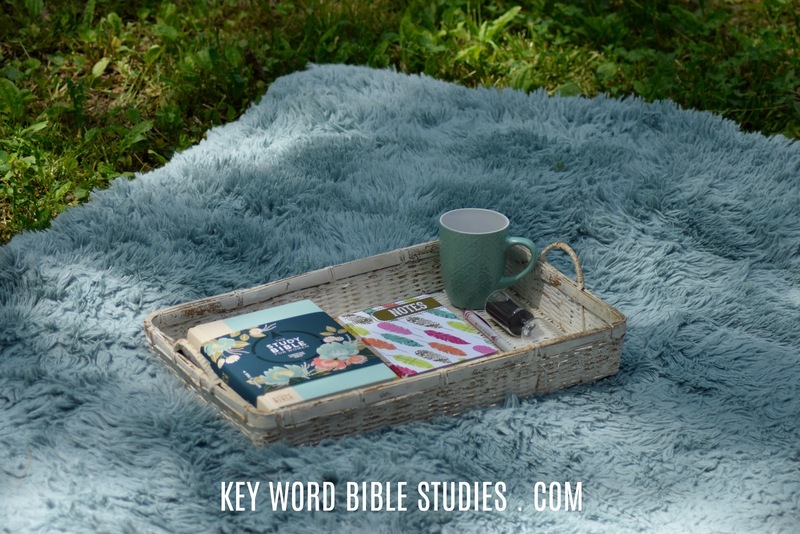 One of the nation’s first and most enduring ministries, today’s American Bible Society provides resources across a variety of platforms, enabling first-time readers and seasoned theologians alike to engage with the best-selling book of all time. For more information, visit American.Bible.